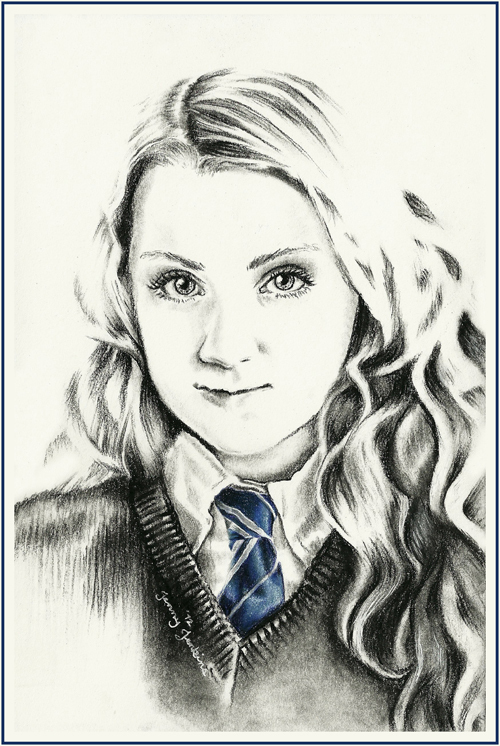 Luna Lovegood drawing by Jenny Jenkins. Charcoal and Colored Pencil drawing of Luna Lovegood (Evanna Lynch) by Jenny Jenkins. HD Wallpaper and background images in the Harry Potter club tagged: luna lovegood evanna lynch ravenclaw witch hogwarts quibbler dumbledore's army loony luna.